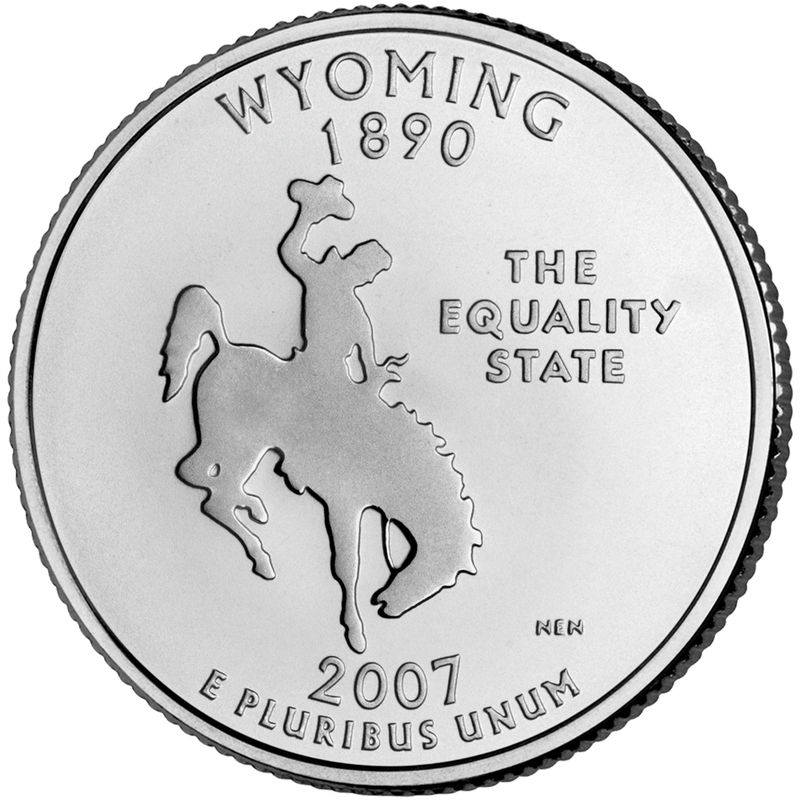 Reverse Description: Wyoming is the 44th coin released in the 50 State Quarters Program and the fourth released in 2007. 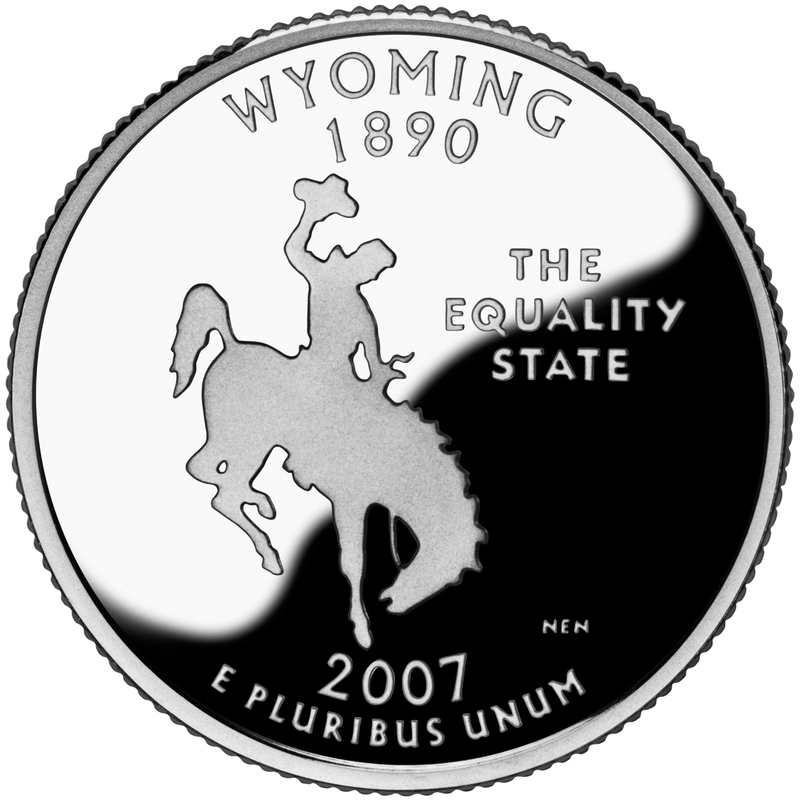 Wyoming, admitted into the Union on July 10, 1890, themed the coin, The Equality State. It features an image of a bucking horse and rider. President William J. Clinton was in office when this legislation was signed. Three United States Mint Directors served under President Clinton's tenure; David J. Ryder of Idaho, Philip N. Diehl of Texas, and Jay W. Johnson of Wisconsin.